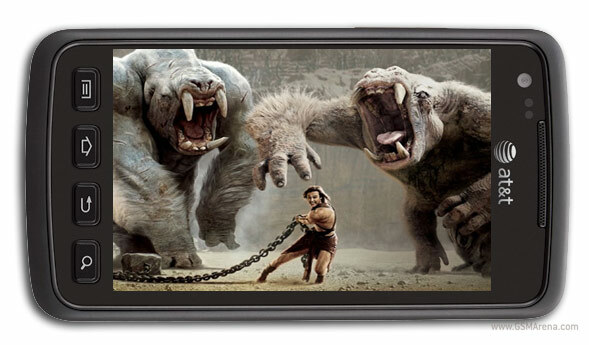 The smartphone features a 1650mAh battery, which is the same as the unit found in the Samsung Galaxy S II. In the case of the Rugby Smart however, the spec sheet is significantly more modest, so we did expect a commendable performance. The test did not begin well for the Samsung Rugby Smart. The smartphone managed 7 hours and 9 minutes of talk time on a single charge. The result put the device close to the bottom of our charts. Things began to look much better in the web browsing section of our battery test. 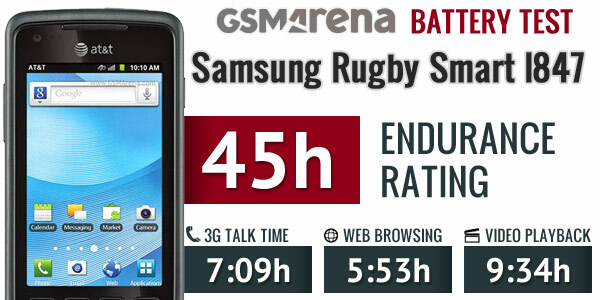 Here, the Samsung Rugby Smart achieved the respectable 5 hours and 53 minutes before its battery gave up. On this instance, the fairly small, 3.7″ Super AMOLED screen certainly helped. In the video playback section, the Samsung Rugby Smart impressed the most. With 9 hours and 34 minutes of playback, the smartphone posted the second best time we’ve seen yet. The handset came behind only the Motorola Droid RAZR MAXX, whose battery is exactly double the size of its own unit. Again, the Super AMOLED screen of the device came quite handy. With an overall score of 45, the Samsung Rugby Smart did one of the most impressive showings in our battery test to date. The score means that you will need to recharge your device every 45 hours if you use it for an hour each of telephony, web browsing, and video playback every day. To find out all about the Samsung Rugby Smart, you can check out our full review here.